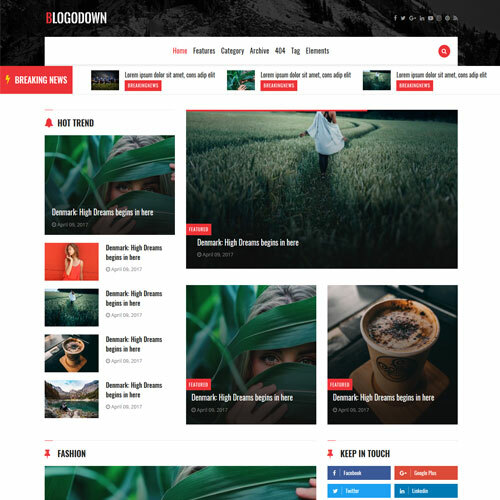 Blogodown is a blog category website template, which is a great choice for all bloggers out there. 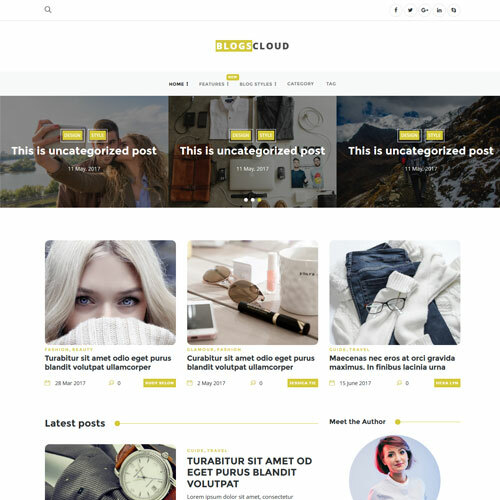 This uniquely designed blog layout can be used for your all kinds of blog themes like news, events, current affairs, lifestyle blog, fashion blog, travel blog, photography news, magazine websites and much more. 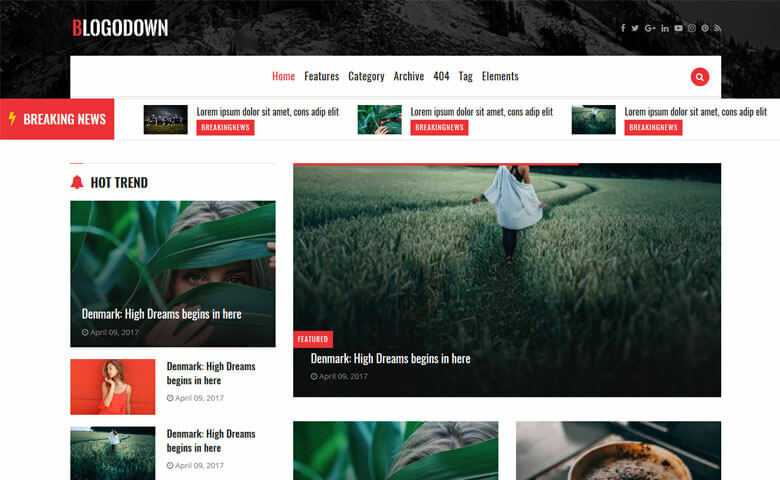 This blog template includes 5 different styles of homepage layout and 3 different header styles. The category page is designed with all blogs and a creative sidebar including social buttons, categories, ads, archives, tags, popular posts and subscribe section. The archive page is designed with different month vise dropdown option. It also includes web elements like headings, paragraph examples, blockquotes, text formatting, alert message styles, buttons, and accordion. 404 error page and a comment form are also designed in the template. All the files included in this template has a well-coded structure which will make your customization very easy. It is designed using the latest technologies like HTML5, CSS3, Bootstrap 4, and jQuery. It has a responsive design which makes it look great on all the devices from mobile to desktop. And also it is compatible with all the major browsers like Google Chrome, Firefox, IE 10, Opera etc. 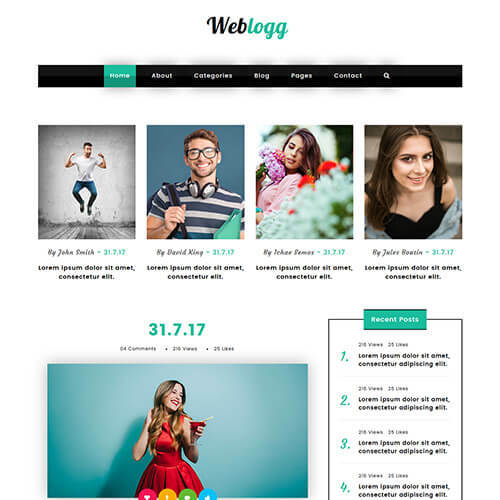 This blog template for blogger can be easily customizable as per your requirement with the help of the web elements designed along with the template. Download and make it yours!